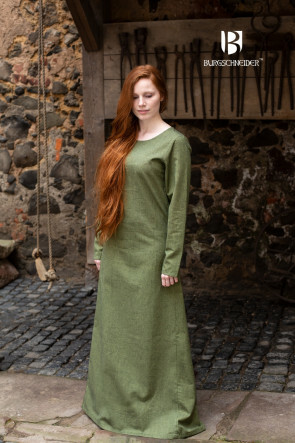 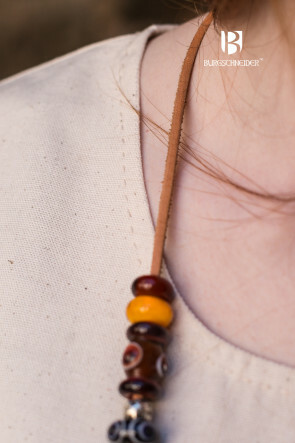 As the Middle Ages range from the 6th to the 15th centuries, during which not only craftsmanship but also the general taste in fashion changed, it is nearly impossible to precisely describe and define “the woman’s garment of the Middle Ages.” Unfortunately, we have very few extant textile findings from that era. 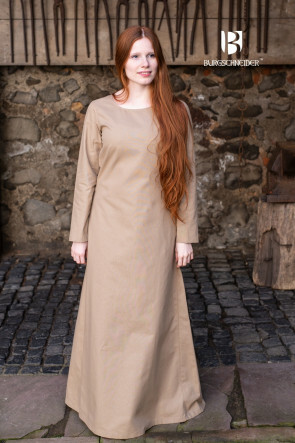 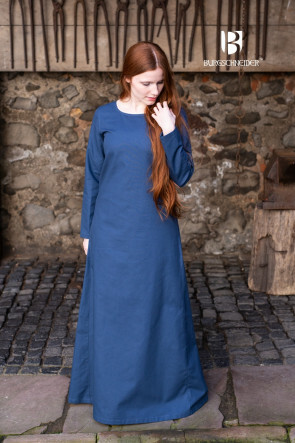 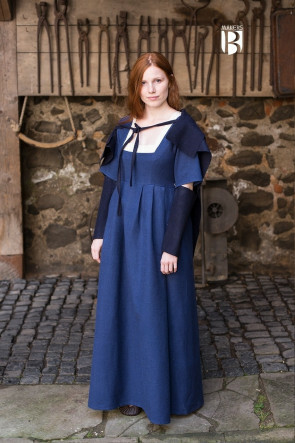 Consequently, our knowledge of medieval clothing is derived mainly from literature or paintings, and we cannot tell with any certainty how women actually dressed every day. 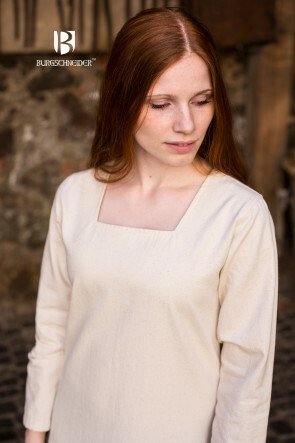 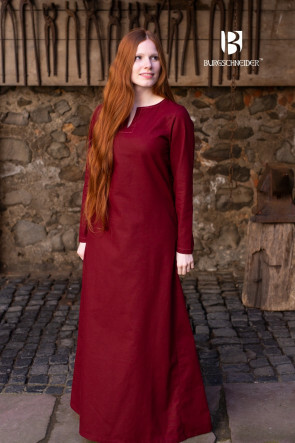 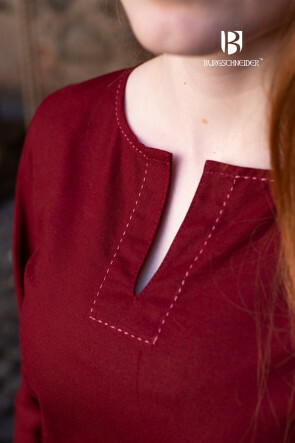 At the the beginning of the Middle Ages, women’s garments were usually manufactured using simple methods and were thus rather plain. 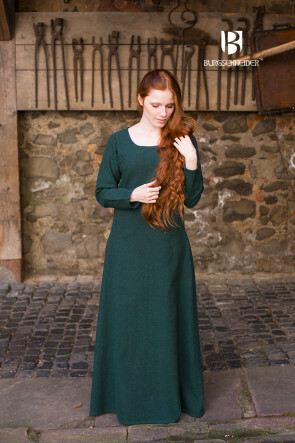 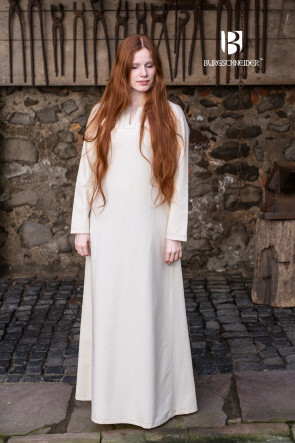 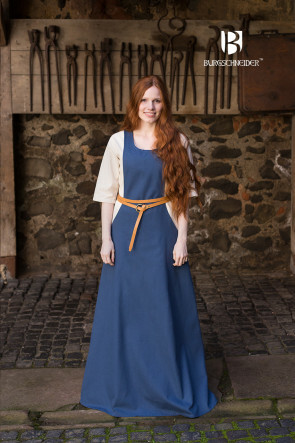 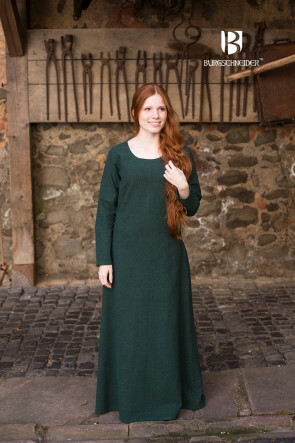 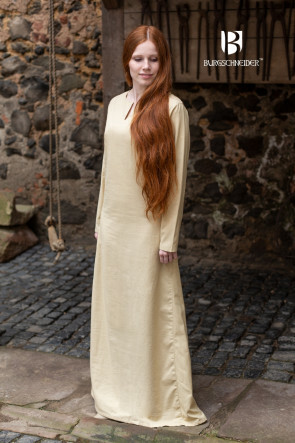 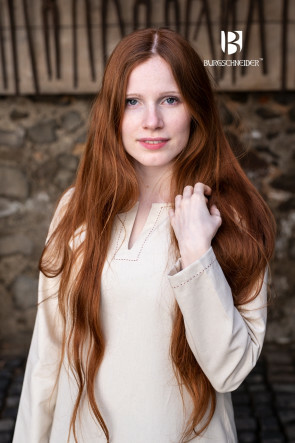 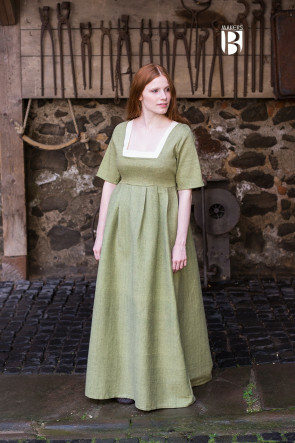 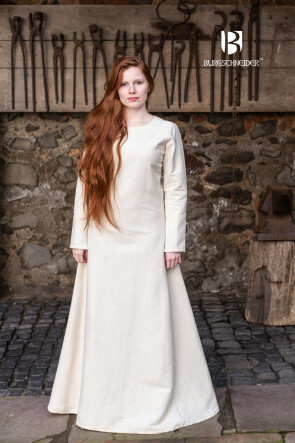 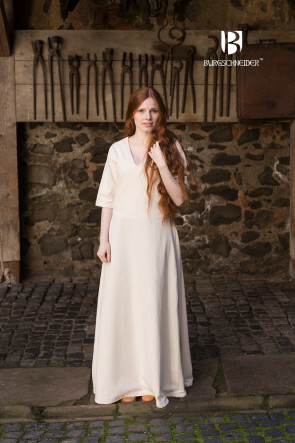 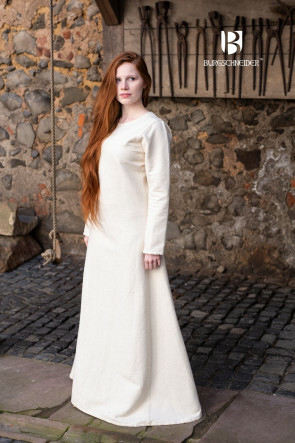 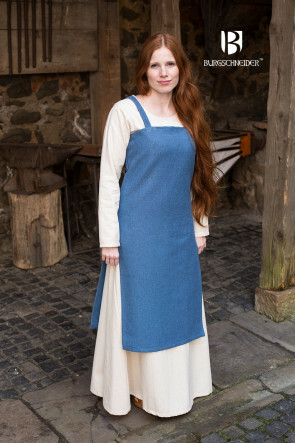 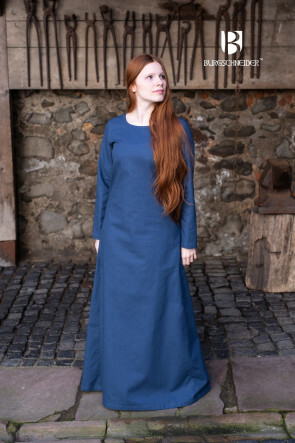 Dresses were cut straight and long and made from linen or wool. 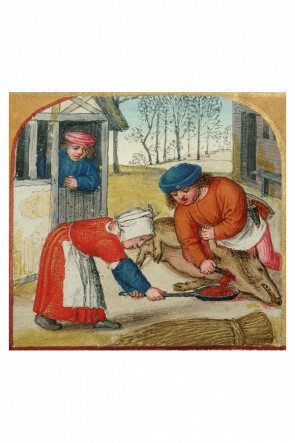 Rich or noble women, however, could afford more luxurious materials such as silk, which, however, was not grown in their home region and thus had to be imported. 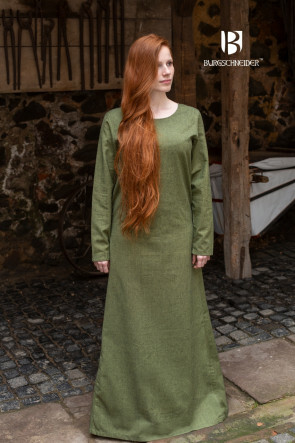 With the passage of time, cuts and manufacturing became more and more advanced, with an emphasis on slim-fitting, complex patterns and more opulent and colorful embroidery. 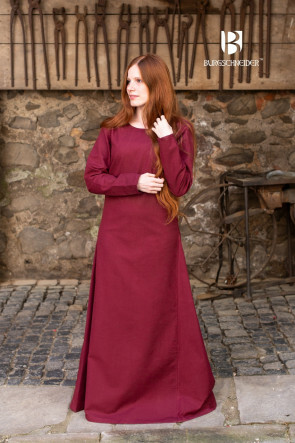 One of the most important findings of a medieval woman’s garments is the repentence garment of Saint Elizabeth of Thuringia, who lived at the beginning of the 13th century. 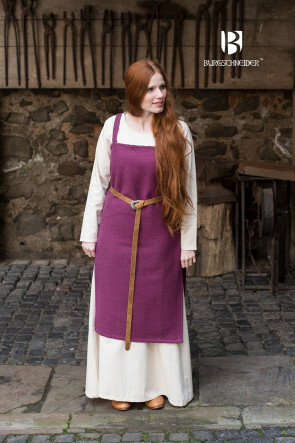 Despite her noble heritage, she chose to lead the life of a peasant woman, refusing to wear clothes befitting her titled stratum—a decision for which she was canonized. 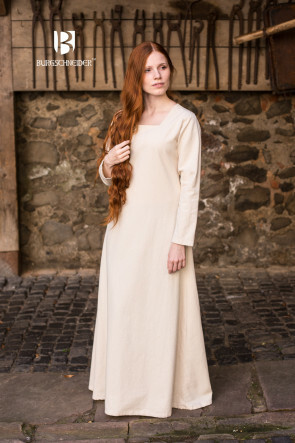 Her dress, which today is kept in St. Martin’s parish church in the Rheingau, was left undyed and made from raspy wool.